I wrote my first academic religion paper as a young, naïve college freshman ten years ago this semester. Of all the papers I have written through undergraduate, seminary, and graduate school, the topic of that very first, five page, 12 point font, double spaced adventure has stuck with me. It was such a simple question, but honestly it is one that continues to confound and challenge me, both as an academic and a Bible reader. This is the question that was posed: “Does the book of Ecclesiastes (or “Qohelet,” the Hebrew name) belong in the Canon? Why or Why not?” Simple enough question, right? If your immediate response is, “Well of course it belongs in the Canon because it is in the Canon,” then you are not thinking about the book as a whole. You are especially not thinking about the themes of Ecclesiastes in light of other Biblical material. How often do we hear a person comment that “the Bible says…” or that the only source of morality he or she needs, they find in the Bible. If you are a news junkie, or live in the state of Texas, you may have read about the mayor of a town called Flower Mound who has declared 2014 “The Year of the Bible,” in an effort to examine the teachings of said book. I wonder if Mayor Tom Hayden has read the book of Ecclesiastes. For that matter, how often is this book discussed in an ecclesial setting? Before examining the book itself, let us first dispel misconceptions about Ecclesiastes. First, the book was not written by King Solomon. Although the opening line identifies the author as דבֶּן־דָּוִ, (ben-david), or “son of David,” the name Solomon itself does not appear anywhere in the text. Not only that, it is well known that the term “Son of…” in Hebrew did not necessarily mean a biological son, but rather a decedent of a particular lineage, or even an identifier as part of a group (e.g. “son of Israel”). Also, certain words like “park,” found in Ecclesiastes 2:5 (with the Hebrew being פַרְדֵּסִ֑ים,), are Persian, perhaps even Greek words, thus negating Solomon as a possible author. Finally, many of the verbs contain a linguistic feature known as the “infixed shin,” a grammatical feature that did not appear until later Hebrew compositions, again eliminating Solomon as a possible writer. Beyond these historical-critical issues of authorship, Qohelet is not concerned with covenant, the history of Israel, the sacredness of the land, or even so much demonstrations of divine power. While these themes are prominent throughout the rest of the Hebrew Bible, Ecclesiastes stands apart as a philosophical contemplation on life itself. Qohelet dedicates his writing to how humans live in the world, contemplating the fate and purpose of human activity. His conclusions are both stark and poignantly realistic. Unlike other books of the Bible, Ecclesiastes would easily rank as a modern work. Qohelet focuses on the world. Not in a sense of God’s judgment on the world, or in some abstract “this world is not real,” type of discourse, but rather in an uncompromising acceptance of the realities of life. Depending on one’s perception, Ecclesiastes provides either a bleak outlook for human existence, or the ultimate reassurance to embrace life, with all its highs and lows. Due to the philosophical nature of this book, summarizing a “plot” or even certain points is a difficult task, thus one should simply read the material. Of course, if you take nothing away from this article, I would hope it would be to read the book of Ecclesiastes for yourself (a person should be able to read the entire work in one sitting. It is twelve chapters long, and in the Bible I am using for this review, only eleven pages). I therefore want to focus on one theme of the book that I think encapsulates the mood of Ecclesiastes, as well as sets it apart from the rest of the canon. Qohelet would have his readers eat, drink, be merry, and accept that the same fate (i.e. death) awaits all humans, regardless of whether they are wise or foolish, rich or poor, etc. For him, life is about moderation and we must take life as it comes. Perhaps this is a challenge to the “typical” Yahweh worship of the time, or perhaps it is a different side of it. In my opinion, either view is valid on that subject. Although an elderly Solomon clearly did not write this book, the author still speaks as one who has either experienced a long life and is looking back in reflection, or as someone from a position of power and privilege reflecting back on his own life. The book is still very much aware of God, and attributes everything to God. Our notions of afterlife are absent, which may shock many Christians. This notion is in line with the rest of the Old Testament, but that may have to wait for another post. I will close with an answer to the question posed in my opening paragraph. To be honest, I do not remember what I said in that initial undergraduate paper. Of course, I am sure it was incredibly insightful and eloquent, given the breadth of my intellect at that time in my life [please allow the sarcasm to fill the room with that comment]. To answer that question now, I not only agree that Ecclesiastes belongs in the Canon, but it dramatically needs Qohelet’s message. The book does what one’s contemplative reading of the Bible as a whole should: To Challenge You. It is a stark view of reality, likely written in the context of someone coping with the dominating power of an empire. Within its place in the canon, it demonstrates one of the many voices we receive from the Old Testament, demonstrating that the collection Christians hold as canon is not representative of one monolithic Yahwehism, but instead represents differing ideas throughout ancient Israel’s history. On a final note, I realize that I have cited very little of Ecclesiastes itself. Here is an outline, as found in the New Interpreter’s Study Bible, which briefly describes the themes of the book. I urge all who read this article to read through the book of Ecclesiastes and contemplate its message and implications. Do you think it belongs in the Canon? Does it conflict with the rest of the Bible? 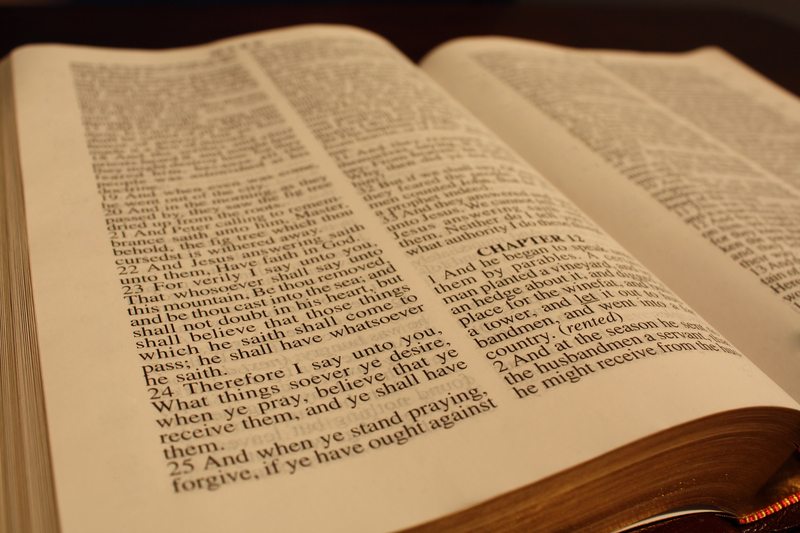 How should those who use the Bible as a moral authority apply the teachings of Ecclesiastes? *Author’s Note* This article was a difficult one in terms of composing. Writing about such abstract material as Ecclesiastes was difficult, compounded by the fact that I am trying to get back into the swing of things with a new semester and a greater focus on my Masters’ thesis. Regardless, thank you for reading and please leave comments below! This entry was posted in Religion and tagged Bible, book of Ecclesiastes, Canon, Ecclesiastes, Faith, Hebrew Bible, Old Testament, Qohelet. Bookmark the permalink. Intriguing. Now I have to actually read it! Which gets complicated, you know, I have to decide which version to read yada, yada, yada. You’ve certainly given me something to think about. Not that I need anything more to think about, but your mother-in-law thinks you are the cats meow. Haha, Thank you so much Mary! You are wonderful yourself! Let me know what you think of Ecclesiastes after you read it! Thanks Andrew! I love your articles!